but is it a useful tool? Kidney stones can be tricky - who needs a CT? Who can go home? (Don't get us started about who needs tamsulosin.) POCUS now plays a key role in the diagnosis and management of these patients. 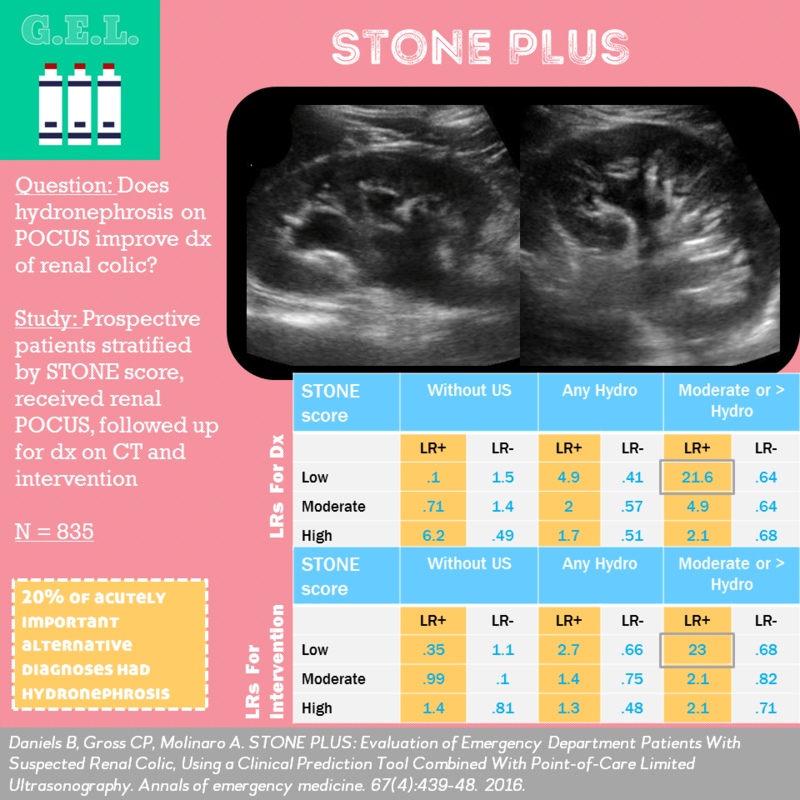 This study takes a look at how well a clinical prediction tool that incorporates a bedside ultrasound can predict the diagnosis of renal colic and the need for intervention. What happens after they leave? 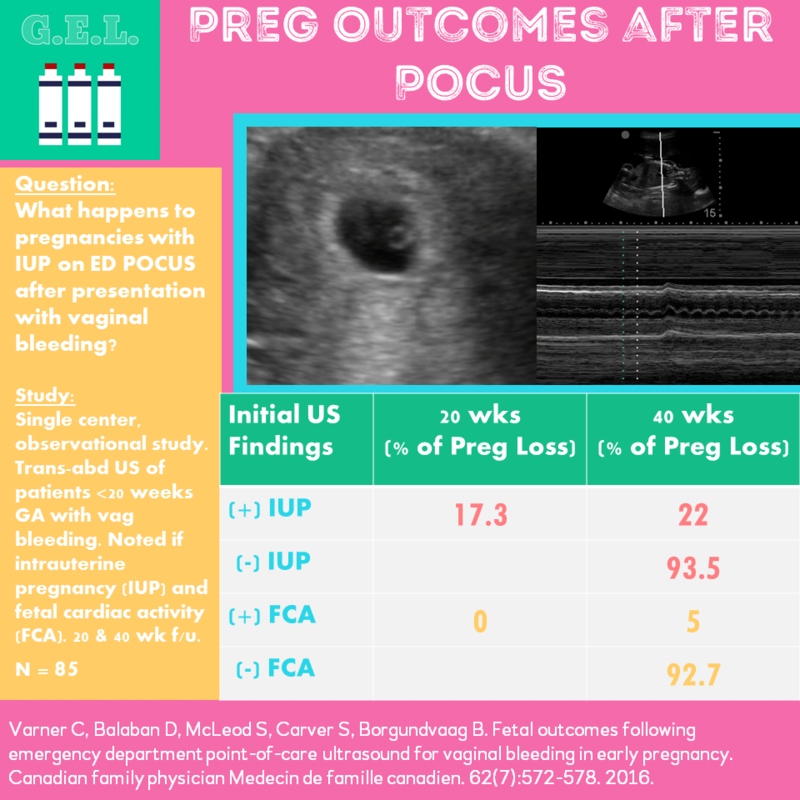 When patients come into the emergency department with vaginal bleeding, they often get a bedside point-of-care ultrasound (POCUS) to assess if this is an intrauterine pregnancy and to assess fetal viability when possible. We know that finding evidence of an intrauterine pregnancy and finding a fetal heart beat is good news for the pregnancy - but how good? What are the chances that these pregnancies will continue to full term? This paper follows these patients up to find out. The FAST (focused assessment with sonography for trauma) is great for picking up free fluid in cases of intraabdominal hemorrhage; however, it is not so good at diagnosing solid organ injury. What about if we add contrast? 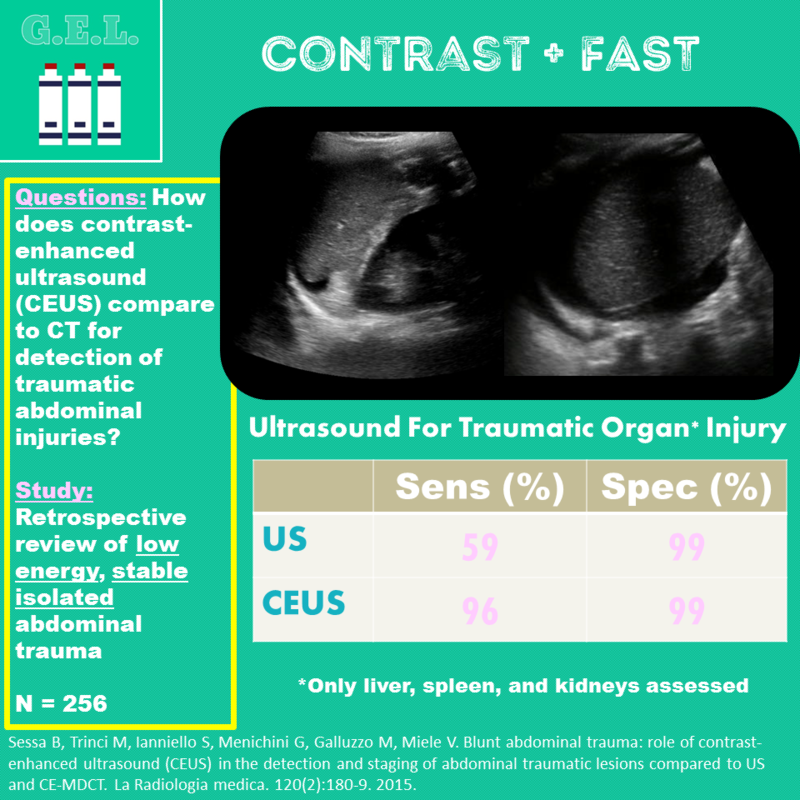 This articles takes a look at the use of contrast-enhanced ultrasound in blunt abdominal trauma patients. Is this the next cool thing in trauma diagnostics?